When complete, the 12-story building in Maryland’s Merriweather District will be home to cybersecurity company Tenable. A ceremony in Merriweather District, located in downtown Columbia, Maryland, celebrated the groundbreaking of a 12-story office building that will ultimately serve as headquarters for cybersecurity company Tenable. Owned by the Howard Hughes Corporation (HHC), the building is one of many slated for the area, which is expected to become a commercial hub for technology and innovation. 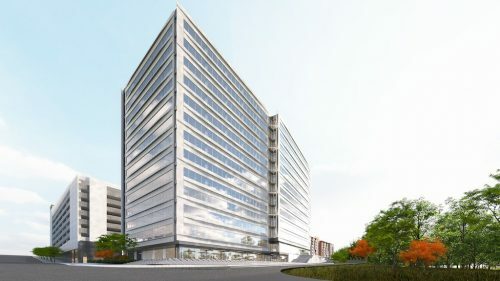 The 32,516-m2 (350,000-sf) office building, which is anticipated to achieve Leadership in Energy and Environmental Design (LEED) Silver certification under the U.S. Green Building Council (USGBC), is scheduled to open in late 2019, with Tenable occupying approximately 13,935 m2 (150,000 sf) on floors seven to 12. The structure, like all others in the neighborhood, will include Steer Tech, a self-parking service. The district is expected to revitalize the downtown Columbia neighborhood as a commercial hub for technology and innovation. 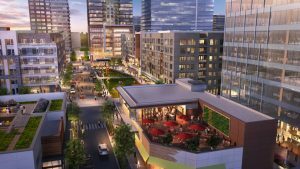 The new build, located at 6100 Merriweather Drive, will join One and Two Merriweather, a collection of class-A, mixed-use office buildings already open in the neighborhood. 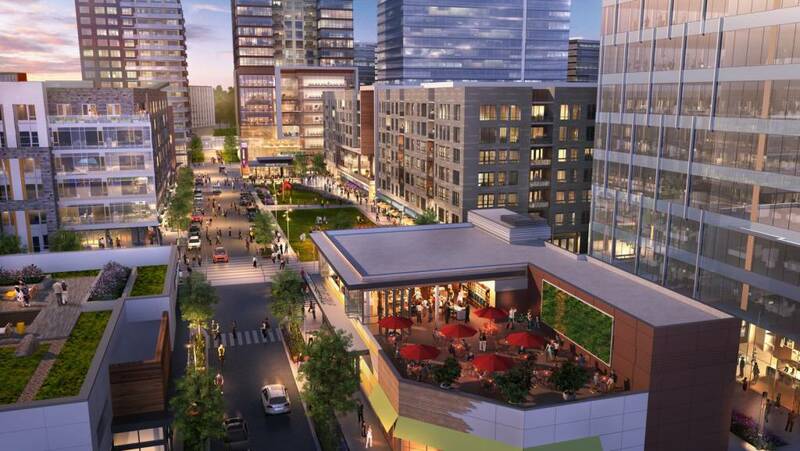 When completed, the Merriweather District revitalization project will feature 1.3 million m2 (14 million sf) of mixed-use development, including 2300 residential units, a 250-room hotel, more than 139,355 m2 (1.5 million sf) of office space, and 29,171 m2 (314,000 sf) of street retail, including a central park. Planned by JP2 Architects, the district is expected to be one of the first on the East Coast to achieve LEED Neighborhood Development v4. To read more about the development, click here.